Can you imagine misplacing this? We thought we'd seen it all when it comes to mundane objects masquerading as ~high fashion~ accessories, but apparently not. 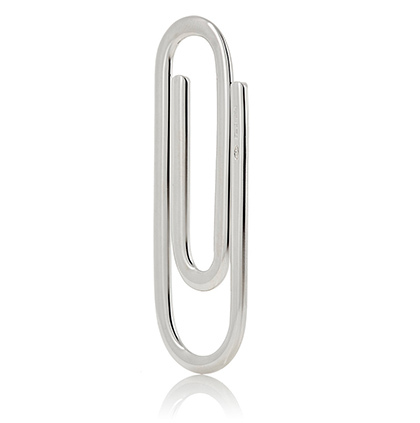 Behold, a seemingly remarkable paper clip—except it comes with a $185 (P9,291) price tag. 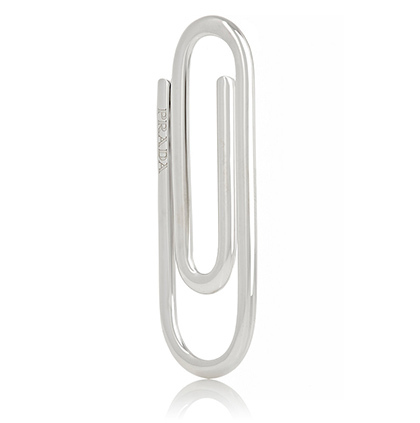 Yes, you read that right: a paper clip for almost P10,000. 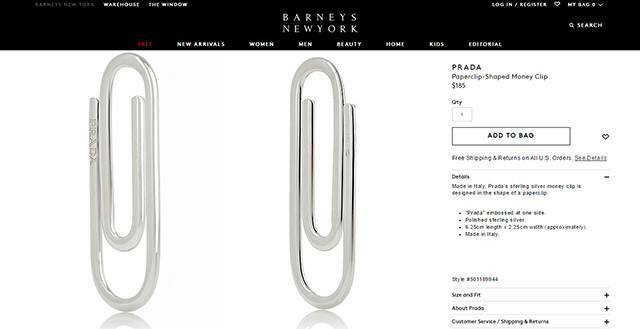 According to CNN, this is Prada's "paperclip-shaped money clip" and it's currently available online at Barneys.com. We say "currently available," because after Balenciaga's paper bag-like purse sold out, we've learned never to underestimate what the fabulously wealthy choose to spend their money on. 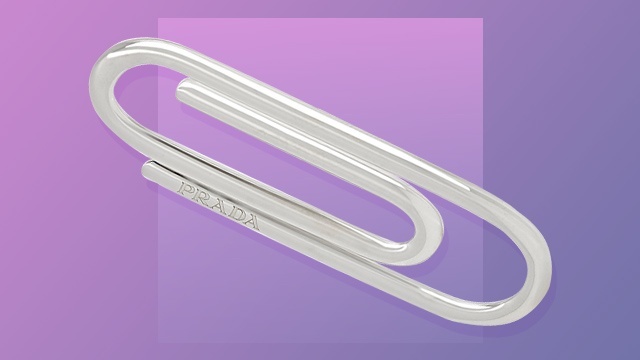 As described in the product's page, the clip is made in Italy, composed of polished sterling silver, and has "Prada" embossed on one side. But for the price of a round-trip ticket to a nearby destination, we'll stick to our vinyl-coated clips and regular wallets, thanks.